No academic education can quite prepare someone for the reality of scientific research. The trials and triumphs of laboratory work can only be truly appreciated when experienced first-hand. 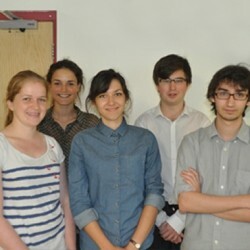 Each summer, research groups at the CSC invite some of the brightest undergraduate and A-level students into their labs. Over 4-8 weeks, the students independently carry out research projects that form part of the groups’ ongoing research. “The scheme works both ways,” he adds. “The students get a rare and beneficial experience, and we identify talent that might be suitable for our PhD programmes.” For more information about the scheme click here, or contact Kate Baird, Student Administrator.